Our small group meets on Sunday mornings before worship service. This particular Sunday one of the group members began to speak about her pain as a parent with an unsaved adult child. As she spoke tears rolled down her cheeks. This prompted another parent to speak out and give her encouragement. When this second parent began to speak words of support and empathy, she too began to get teary eyed leaving me to believe she too is a mother of an unsaved adult child. I don't have any children myself, but in that moment I could feel their pain. Few things are more heart wrenching to a Christian parent than a child who abandons or strays from the faith. It's natural for the parent to ask, “Why?,” “What went wrong?,” and the never-ending series of questions that follow from the “What if?” starter. But more on this in a moment. To add to this already crushing pain, sometimes people in the body of Christ become judgmental and critical of the parents. Because of a twisting or misinterpretation of a couple obscure Scripture passages, at times parents of unsaved or rebellious children are asked to step down from ministry or leadership positions further burdening them unfairly with shame, guilt, and humiliation. The fact is, the parent can do all of the “right” things and still have one, or more, of their children rebel or never embrace the faith. Only God knows what exactly is going on in the mind and heart of those who deny Him or have strayed from Him. If you will hang on with me for a moment I believe I can bring some hope and encouragement to all of you parents out there, especially parents with adult children. After the small group incident mentioned above, I had an inner prompting to revisit the book of Hosea. As I scanned through I settled in on chapter 11. This chapter gives a beautiful example of God's incredible love for Israel, who is described as a “rebellious” and “wayward” child. The chapter starts with a beautiful picture of God's gentle care for Israel, but His love for them keeps getting rejected as they are determined on turning away from Him to false gods. The first thing to know and remember is that we serve a God who understands the heart-wrenching pain that comes from loving rebellious, wayward children. Hosea informs us that the more God called Israel back, the more they went the other way. Even though God taught them and led them calmly and lovingly, without harshness, Israel was dead set on turning their backs to Him. There is hope in the fact that we do not have a distant and aloof God, but a God who fully and completely emphasizes with the feelings of parents with unbelieving children. He knows what it is like to have a child turn down all advice and instruction, reject patient and loving guidance, and choose to live harmful and often destructive lives. Because He understands, comfort can be found in Him. Surely there are many things parents can do to “raise up their children in the Lord.” There are positive steps that can be taken to both help get their children “back on track” and to guide them to a faith controlled life. 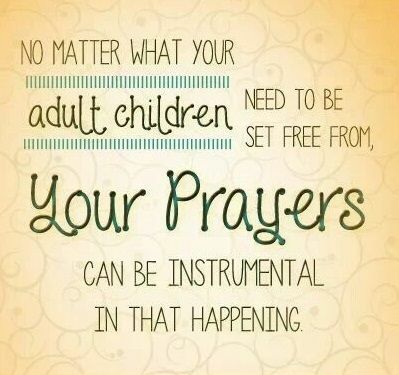 However, no parent can change the heart of their child, that is God's territory. Only God can change a heart. Salvation belongs to the Lord (see Jonah 2:8-9). children who are not saved ask themselves questions such as: “What if we would've had more family time, ...I would've kept better track of his friends, …been less strict, ...been more strict, ...made her go to church every Sunday, ...then maybe my child would be walking with the Lord.” Well, the “what if's” could go on forever. But the fact is, the only thing this does is unfairly burden the parents with a feeling of guilt for past “mistakes,” and leave them pressured with a sense of obligation that it's their job to “fix” their children. Hosea keeps us grounded in reality by reminding us that the salvation of the wayward and unrepentant is a work of God, not man. As a parent, you'll still worry, but worry with a sense of hope. The salvation of your loved one rests on God, not you. Now, most of us know this to be true, but we often find ourselves living in such a way where we end up hoping in our abilities. Instead, we need to live out what we know in our minds. Rest in the fact that God is the one who saves, and He does all things according to His will and His perfect timing. It is vitally important to never stop loving, and showing love, to your unbelieving or wayward child. We see an incredible picture in Hosea 11:8 of a God who, despite the constant nastiness of Israel's rebellion, is still moved to loving and gentle compassion for them. I am sure many of you have heard of Pastor John Piper. Well, John Piper has a son by the name of Abraham Piper and at one time Abraham was rebellious and abandoned the faith (fortunately he eventually returned). It did get to a point though where John Piper had to submit his adult son to the discipline of the Church. All of this resulted in Abraham writing an article giving advice to parents dealing with wayward children. I mentioned right at the start that I don't even have children, but I am telling you right now that this excites me! What is encouraging is that the way you respond to your child's waywardness will show if you are really trusting in Jesus Christ. And isn't that really the whole point? *Adapted from “Hope for Parents Dealing with Wayward Children,” by Scott Williams, northpointcorona.org.